Pre-arranged funeral contracts are called “Pre-need” contracts to distinguish them from “At-Need” arrangements. Funeral contracts that are written between the consumer and funeral establishment at the time of a death are At-Need Contracts. We feel that the At-Need Contract drawn up after a death has occurred is when a family is least prepared to make all of the many decisions involved; therefore, the concept of making these important decisions early and in a more informed manner makes sense. This area of planning is call Pre-Planning. Why is there criticism of Pre-need plans? The short answer is that in a small number of cases, a funeral establishment has breached the contract or fraudulently absconded with the trust funds that were paid to fund the funeral. Lawsuits to settle these cases receive a disproportionate amount of attention. The longer answer involves the interaction between the funeral provider and the family of the deceased person when they go over the arrangements that have been made. If a family wants to materially change the plans that have been made previously, they are in effect negotiating a new contract. Unfortunately some funeral establishments use the family’s desire to change something as an opportunity to significantly raise prices. A final expense pre-need funeral contract simply states that a funeral establishment will provide the goods and services stated in the contract at the current prices. To ensure that there are funds available when needed, the pre-need contract will provide that money be held either in a trust account or in an insurance policy. Barton Family Funeral Service routinely writes pre-arrangements and will keep them on file as a service for our families. These pre-arrangements will later be paid when the services are needed. This method is a convenient way for our client families to record the necessary information before the death occurs and be better prepared for the event of the death. However, we also sell Forethought Life Insurance to pay for a funeral that may be several years or even many years in the future. The terms of the agreement are tailored to each individual’s needs and preferences. Single payment options as well a monthly payment options are available. What happens to the money you’ve pre-paid? States have different requirements for handling funds paid for prearranged funeral services. Can you cancel the contract and get a full refund if you change your mind. In spite of the obvious pitfalls involved in some pre-planned funeral contracts, planning ahead is still the best strategy to avoid having to make funeral arrangements under stressful conditions when a death has just occurred. The first step in planning a funeral is simply writing down all the information that will be needed on the death certificate. Keep the information in an accessible location known to family members. Do not keep it in a safe or bank safe deposit box where it is difficult to access when needed. Write down your wishes and talk to your family about it. If you trust the funeral director more than you trust your family, you may have a good reason to prepay for a specific funeral arrangement at a specific funeral home. Washington State Law allows residents to pre-authorize their own Cremation; therefore, the next-of-kin is not required to authorize the cremation, nor allowed to change the decision of cremation at the time of death. To be effective, such a written authorization must conform to simple requirements of the law. Click HERE to see an example of a Cremation Authorization. Consult a lawyer to make sure your Will is properly drawn so that all your wishes will be carried out. This may also involve forming a trust to solve potential probate, tax, or inheritance matters. When you trust your family, they will be the ones who take care of your affairs after you are gone. It is immensely helpful to them if you write down what you want them to do and then they will decide how to do it based on the conditions they face. We believe that life insurance is the safest and most economical way to fund your funeral arrangement. Funds placed with funeral homes in their trust accounts are subject to confusing regulations and in some states the regulations are totally inadequate to protect your rights. Forethought Life Insurance is portable and will travel with you and can be assigned to a specific funeral arrangement. If you move, your family can use the cash value of the policy to pay for part or all of a funeral in the new location. The states have a long and excellent history of regulating life insurance companies so you can be assured that the money will be there when needed. The major disadvantage of life insurance purchased at an advanced age is the cost. It really amounts to little more than pre-payment because the premium is close to the cash value of the policy. The biggest problem arises when you die far from the funeral establishment that wrote the contract and are forced to use another company in the new location. Of course they will accept an assignment of the insurance proceeds and apply it to a funeral service at whatever price your survivors are able to negotiate. Barton Family Funeral Service offers a pre-paid funeral contract with Forethought Life Insurance and receives a small commission on the sale of the insurance. 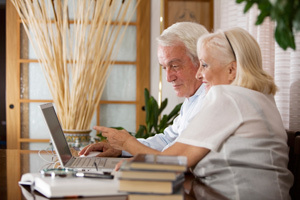 Multiple payment plans may be written from birth to age 85; single-payment plans are available to age 99. All plans are designed to avoid taxes by the IRS or attachment when financial care is assumed by Medicaid. The majority of death claims are paid within 24 hours upon receipt of claim forms. Electronic bank deposit is also available to avoid mail delays. Washington State has a stringent set of guidelines to assure consumers that pre-need contracts are fair. This means that the contract spells out what your rights are and provides for full disclosure of all the costs. All of our pre-need funeral contracts are based on our low fees and deep discounts on caskets, urns, or other funeral products.